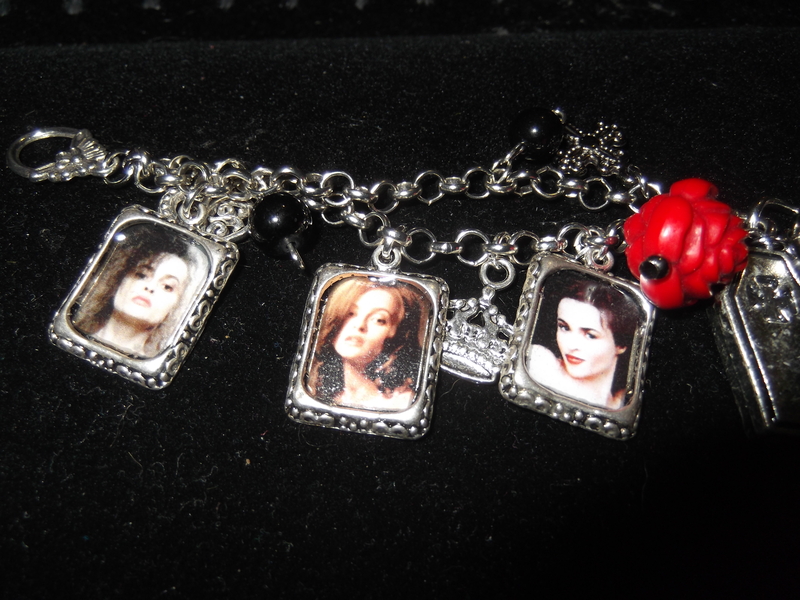 Helena Bonham Carter Charm Bracelet by VoDoFad | The Arcade Archives! Anyone that knows me knows that I’m a huge Tim Burton fan and one of the few things I love more then his dark animation is his leading lady! I can relate to her she has a style that is all her own! So needless to say this bracelet is AWESOME!! VoDoFad did a fantastic job with this bracelet. 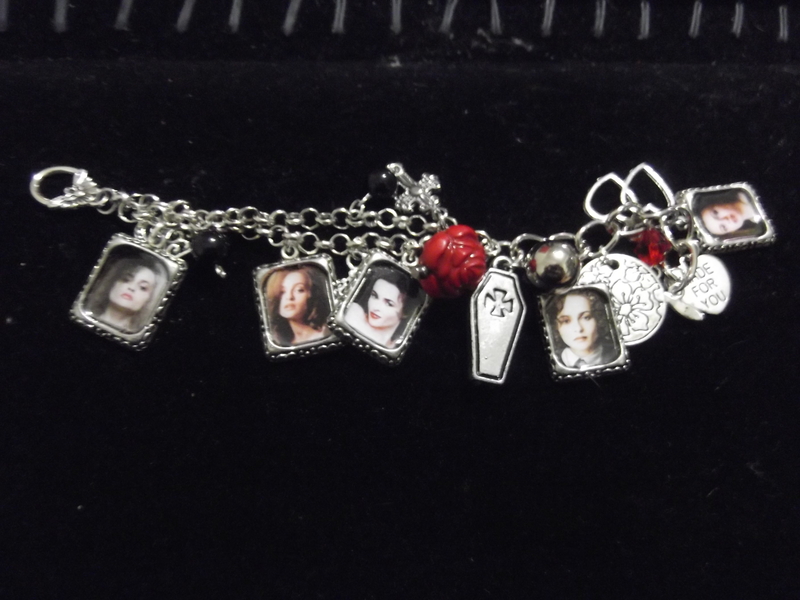 As you can see this charm bracelet has several photos of Helena from different characters she has played. 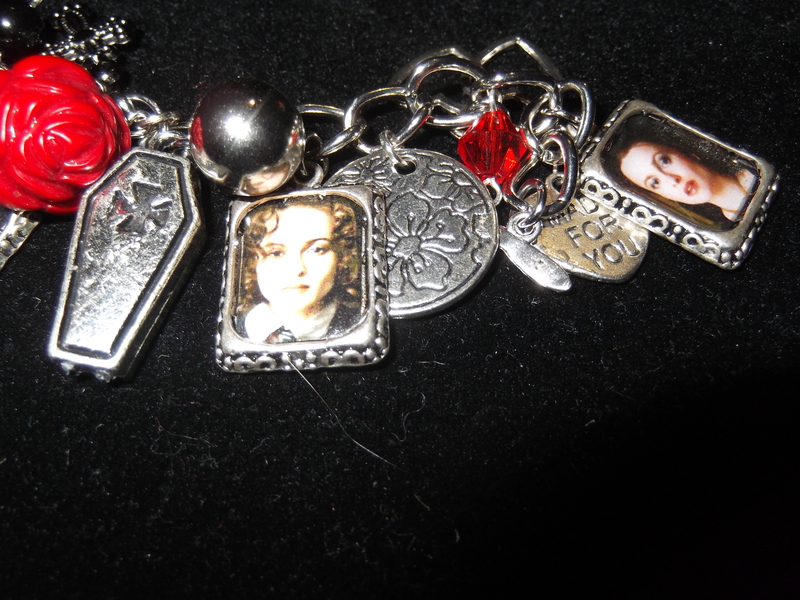 There is also other charms to go with each character. One thing I should mention about this bracelet if you have a larger wrist it might not fit you; this was an issue I had! However that doesn’t mean this bracelet is lost to you!! There is a section that is a double section of the the chain; which means if you can adjust the sizing some with very little change to the bracelet. I only had to adjust it slightly. Which brings me back to how awesome this bracelet is. It looks great and its a fun piece to own! The price on these bracelets isn’t bad either they sell for $16; which I think it a great price for such a fun piece of jewelry. Maybe Helena isn’t really your thing thats ok! There are so many great designs to choice from Doctor Who, Tim Burton, My Little Pony, Johnny Depp, Motley Crue, and so many more! They also do custom orders as well so if you don’t see what you want you can special order it!